The RPL26 antibody from Proteintech is a rabbit polyclonal antibody to a fusion protein of human RPL26. This antibody recognizes human,mouse,rat antigen. 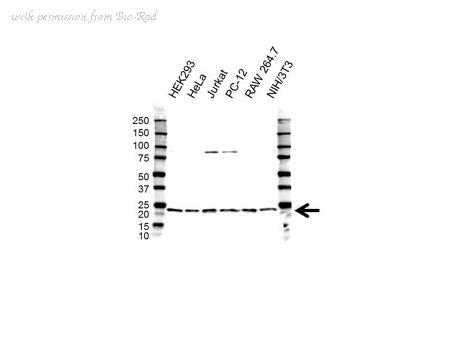 The RPL26 antibody has been validated for the following applications: ELISA, WB, IF analysis. 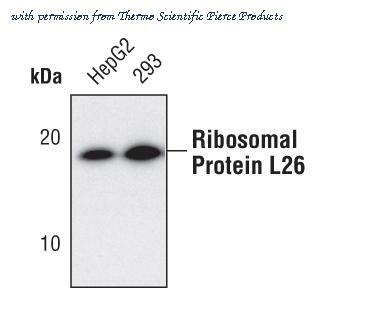 Western Blot analysis of ribosomal protein L26 using anti-ribosomal protein L26 Polyclonal Antibody (PA5-31216), in HCT116 Cell Lysate (30 ug of cell lysate) and at a dilution of 1:1000. 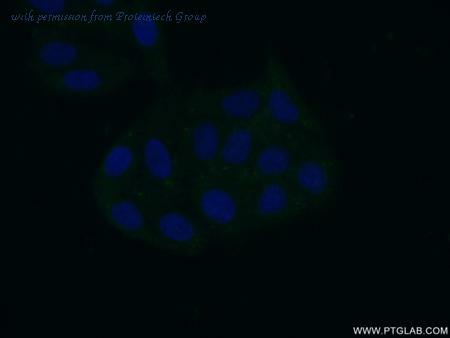 RPL26 Antibody western blot of 293 cell line lysates (35 ug/lane). The RPL26 antibody detected the RPL26 protein (arrow).